I sometimes use packaged biscuit mix in my recipes, don't you? Since I have been sharing them, it has come to my attention that not all of my friends, that follow Recipes For My Boys, have access to items like Bisquick. I shared my Cheddar Garlic Biscuits this morning on facebook and one of my friends, from the UK, commented she was all excited about making them, until she read ... biscuit mix. That was all it took to get me in the kitchen to make my own. I think it turned out great and so did hubby. At least by all the biscuits he ate, I would say so. I don't think I'll be buying the packaged biscuit mix again. I am forever having my cakes stick to my bundt pan. Always! It never fails. Whenever I want to bake a bundt cake I am both filled with excitement and dread. Now, there are no worries! I remembered my step daughter, Carla, told me about making your own cake release and I have finally made it! This recipe has been around forever, I don't know why I haven't been using it before now. It was such a relief to see my little bundt cakes come out of the pan without sticking. Love this! Just brush the cake release in your pan and wait for your perfect cake to come out of the oven. Use them with my Sour Cream Pound Cake, Lemon Fizz Cake, Cooked Apple Coffee Cake, Carrot Cake .. everything you bake! Use what you want and leave the rest in the refrigerator. Now, get out your bundt pan and bake away! 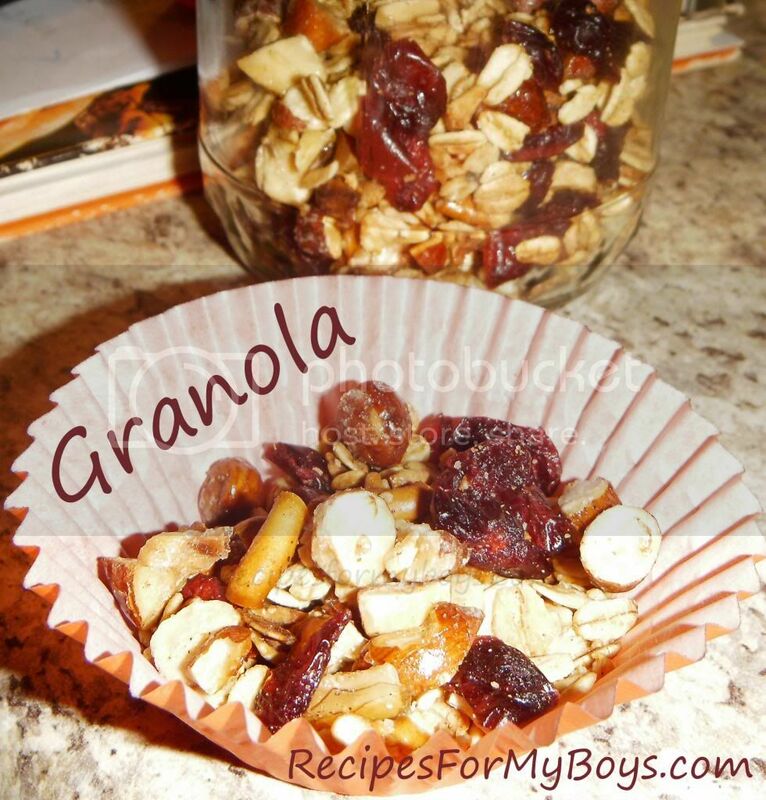 Don't you just love granola? It goes on everything or can be eaten by the fistful by itself. So easy (I'm lovin' all the easy things to make!) and affordable, too! You can add anything in it and it will always be just right. Start with old fashion rolled oats, add nuts, seeds, dried fruit, pretzels. cereal, chocolate, butterscotch or cinnamon chips and there ya go. Ta Da! The makings of your own granola. This make 1 1/2 to 2 cups. You may want to make more. ~smile~ I'm making more tomorrow and will update. 1/2 cup broken pretzels, optional, I didn't have nuts so I used them first...very good! Mix oil, maple syrup, salt, cinnamon and cumin together in bowl. Add oats, nuts, seeds, and pretzels. 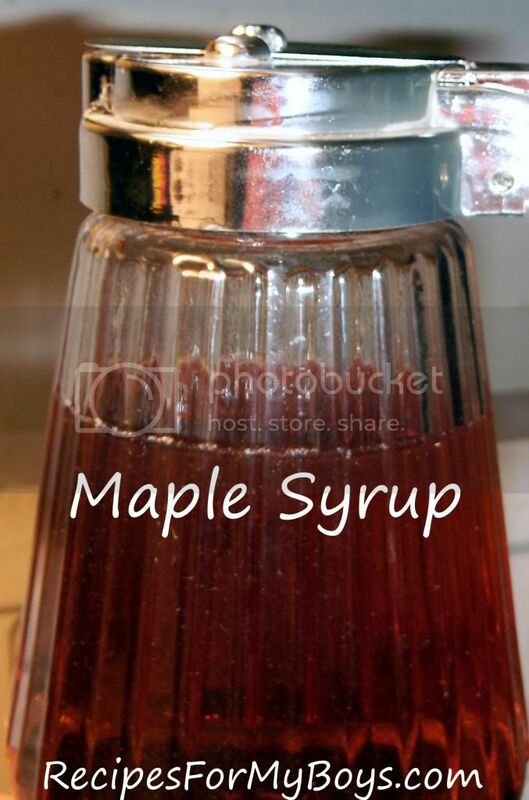 Toss gently to cover all with syrup mixture. Spread and separate on baking sheet. Cook for 7- 10 minutes, until light brown, stirring every couple of minutes. Watch carefully, it can burn in no time at all. Cool completely and store in sealed container or plastic bag. In a microwave proof large bowl or large cup, you need room for water to boil, stir sugar into heat water and heat to a boil, 2 to 3 minutes, more or less. Checking after one minute then every 30 seconds to be certain it doesn't boil over. Carefully take out of microwave and stir. If the sugar isn't dissolved, put back in microwave 30 seconds at the time. Stir in maple extract and cinnamon, if you want it. Alternately, stir sugar into water and heat to a boil. 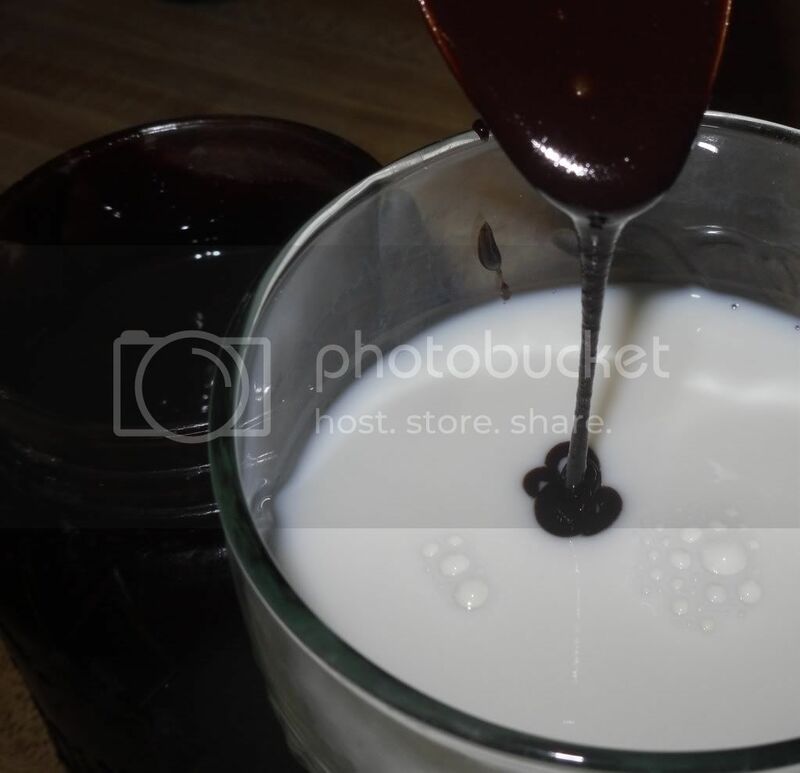 Cook, stirring, until sugar is dissolved. Take off heat and add maple extract and cinnamon, if using. I made this again before starting my pancake using 1/2 cup water, 3/4 cup sugar, 1/2 teaspoon maple extract, a bit of cinnamon, ginger and pinch of salt. I kept it at a simmer while the pancakes were cooking. It reduced a bit and was great. Served it over Pumpkin Pancakes and my oldest said it was an explosion of yumminess in his mouth. 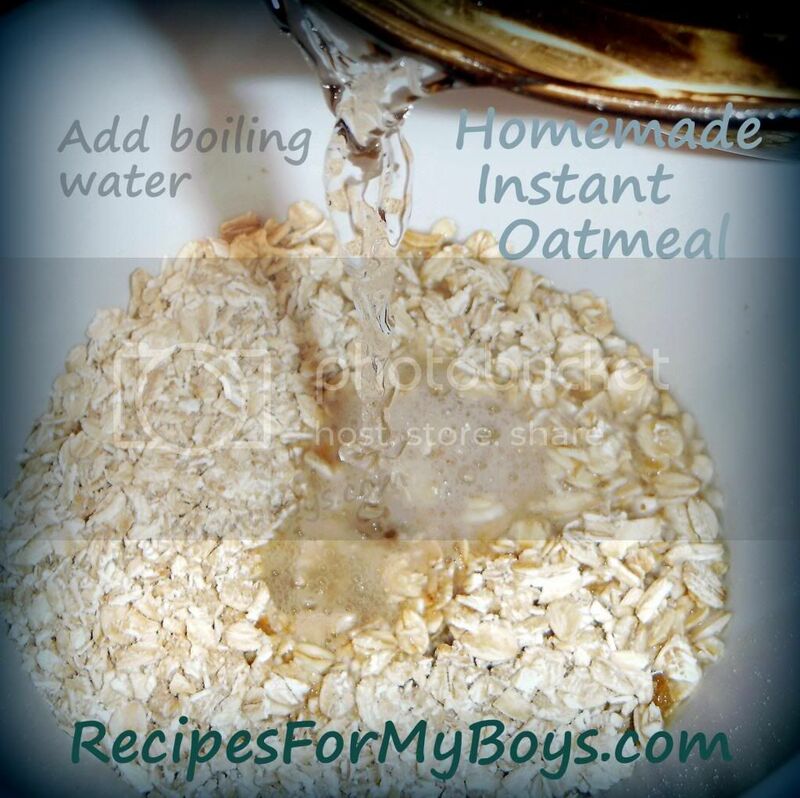 We love oatmeal at our house yet each boy wants their's a bit different. I've seen this on the internet for some time now and I decided to make my own instant oatmeal so they can each have their own favorite. Brown or regular sugar, sugar substitute, cinnamon, nuts, coconut, chocolate chips...the possibilities are endless! Putting the Instant Oatmeal in jars so they can be easily accessed and used in the desired amounts, has been great. I'm cold and ready to make some Instant Oatmeal come on and join me. I was making muffins the other day and realized I was out of brown sugar. How could that be? Ah Ha! The 6 batches of Pumpkin Muffins I made last week may be the reason! ~smile~ Not wanting to go to the store, I searched the internet and found out it is very easy to make your own brown sugar! Who knew? Obviously, not me. I often find myself looking for things I am out of and usually find them by a simple search. Two ingredients and you are set. I will never buy brown sugar again!